I was with a group of friends shopping at The Oxbow Market. 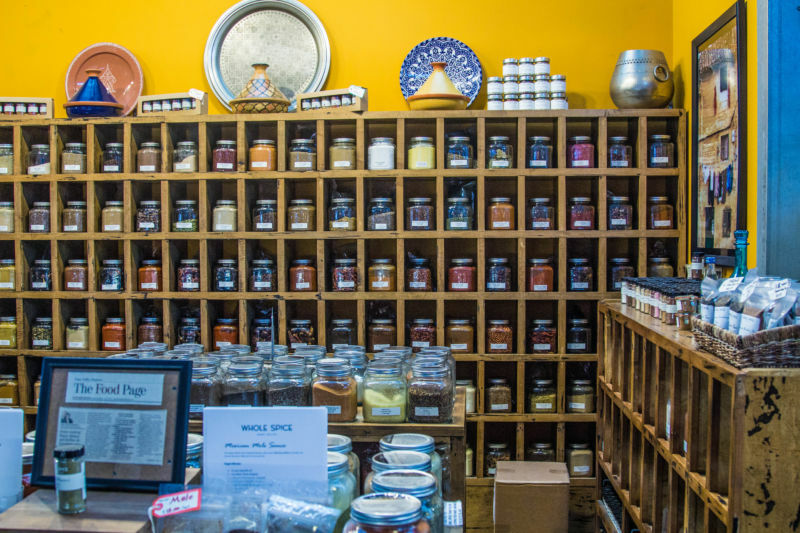 While we were there one of my friends remarked that she couldn’t wait to visit the Whole Spice shop. What? A spice shop? It wasn’t there on previous visits! I was excited to see what it was all about. If you haven’t been to the Oxbow Market in Napa, its basically a building with open market type stalls/shops in it. It is a foodies paradise as you can buy very unusual high quality products that are unavailable in regular grocery stores. This market style harks back to the days of where people shopped for their fresh fruits, meats, fish, and bread daily. It makes complete sense that they would have a bulk spice shop in the middle of all of the foodie goodness. 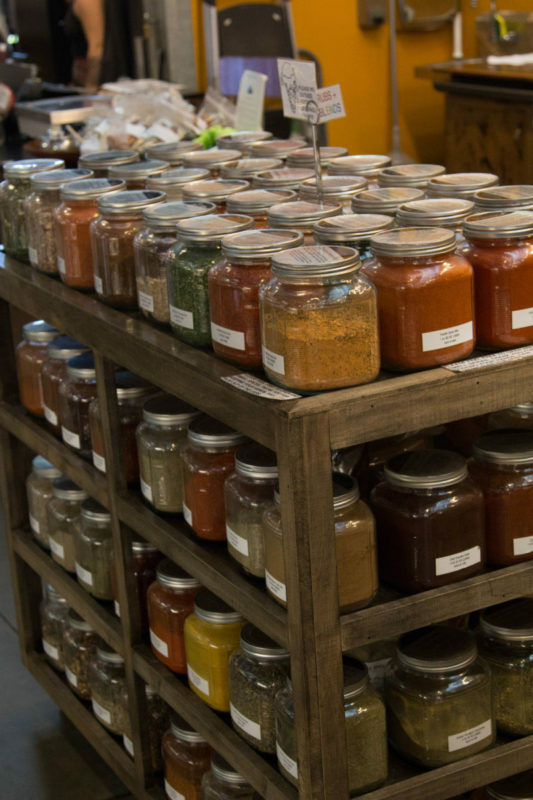 After all, no meal is complete or delicious without the proper amount of spices. 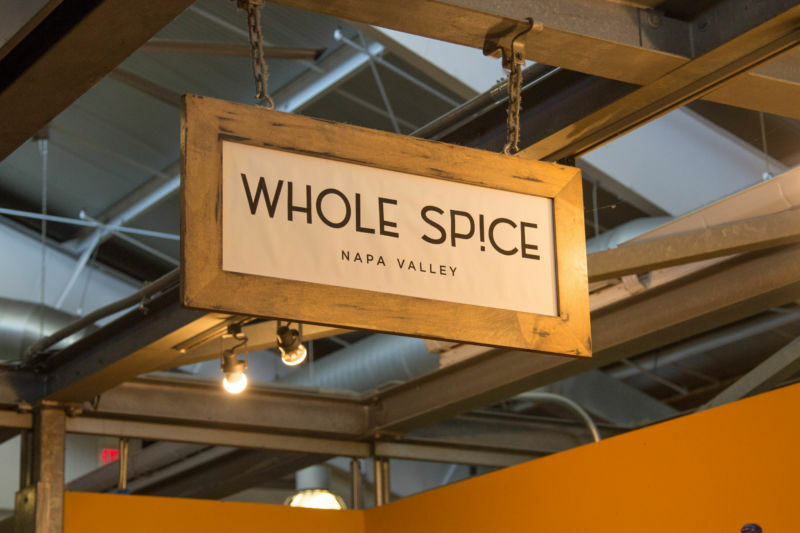 When I arrived to Whole Spice I felt like a kid in a candy store. I immediately went around lifting lids and smelling the wonders within. There are some seriously heavenly smells in those containers. My mind raced with all of the ways I could use the spices in my cooking. 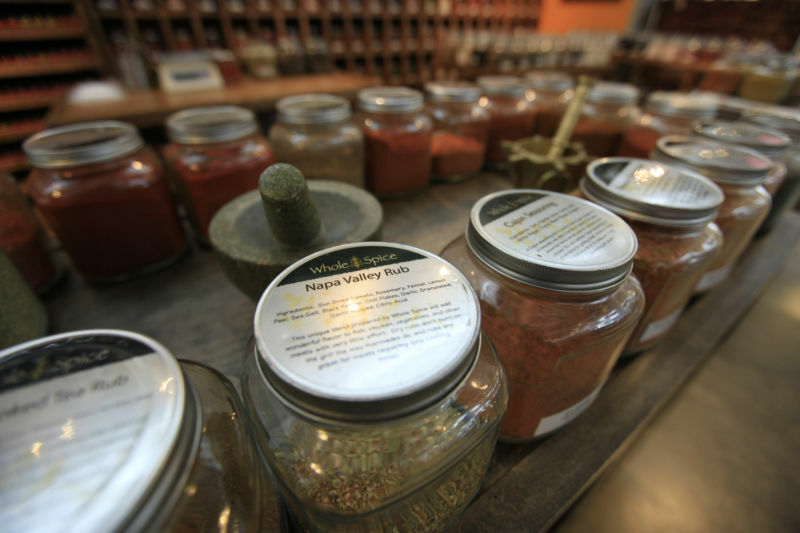 They have many flavored salts, rubs and spice blends. They have many combinations that don’t include salt with interesting flavor if salt is a no no for you. One of my favorites was the apple butter spice. Smelling it is like going to grandma’s house for a Sunday dinner. It’s a wow. Another spice which was very interesting is a blend of cinnamon, cloves, nutmeg and something else (it may be ginger) to enhance the flavor of coffee. It’s amazing. I wish I had asked for the exact mix so I could tell you. Somehow the combination of spices mellows the coffee and sweetens it without adding sugar. You can also use it in baking and I have. It’s really versatile. I have also used it in a rub for pork loin stuffed with apples. The prices aren’t bad, a regular small spice jar will run you about $7.00. That is comparable to what they sell it for in the grocery stores, but you are getting a much higher quality product. They also sell it in larger bulk sizes but I didn’t investigate the pricing further. I loved it, and will be heading back to stock up before the holidays. After all, its pumpkin season! Hong Kong East Ocean Seafood, Emeryville, Ca. I love that store! 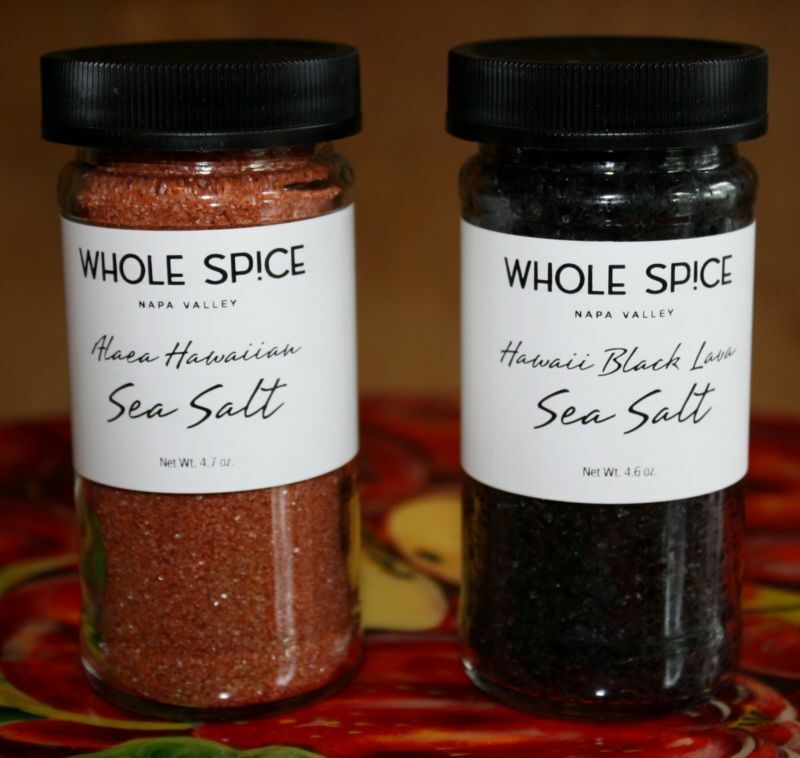 My favorites are the smoked sea salt and the Napa rub.